Now in paperback, this true story recounts a Philadelphia family's encounter with a supernatural presence in their eighteenth-century mansion. After experiencing footsteps at night, opening doors, strange sounds and activity that centered around the library, they investigate, unearthing the mansion's tragic past and changing their beliefs about the supernatural world. 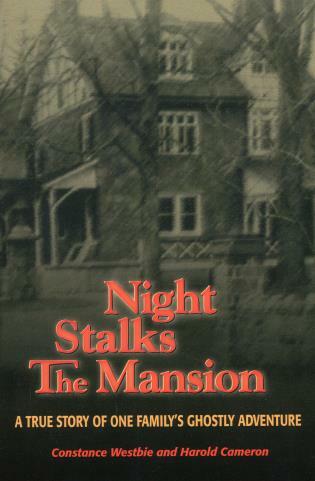 The late Constance Westbie won the 1977 National Writers Club Award for Nonfiction for her collaboration with the late Harold Cameron in writing Night Stalks the Mansion. Harold Cameron and his family lived in the house on Plum Tree Lane for almost two years.